Open Source != Utopian + Steemit + Busy. Open Source == MORE. Profit 3 TIMES by Contributing! This is an attempt to shout out a very simple message. Utopian.io is not just about Steemit, Busy or Utopian itself. It is about the WHOLE Open Source world, that is made up by hundreds of thousands of projects you can and should contribute to. Utopian.io is the only platform that rewards Open Source contributors. You can choose your favourite Open Source project and use Utopian.io to share your contributions and profit from that. A project is Open Source when its codebase is public and editable by everyone. Most of the codebases of these projects are hosted on Github.com. The Utopian.io community, the project owner and the Utopian Bot Powered by 820K SP (almost $80 per a single vote) will reward you for contributing. 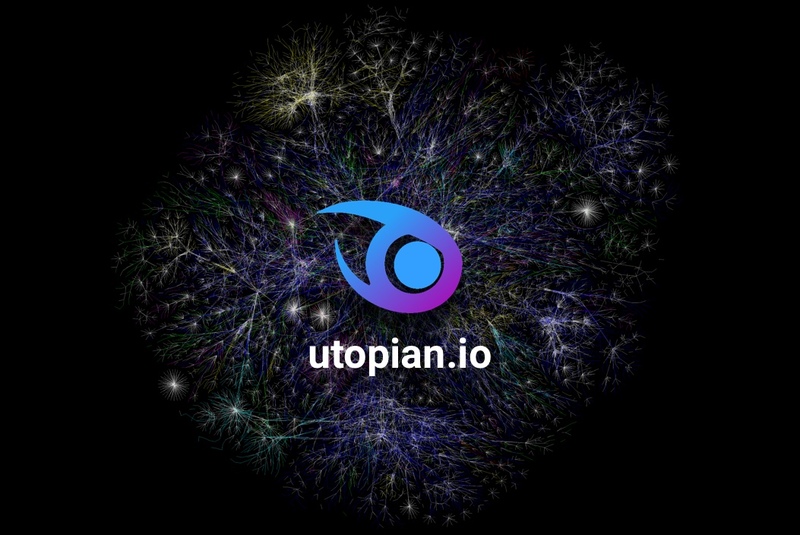 We are receiving so many contributions for Utopian.io (that is of course Open Source), Steemit and Busy that I think it will take a week for me to read them all. While we love the fact that many of you are reporting bugs, ideas, translations and more for Utopian, Steemit and Busy, and we want you to keep doing that we also think it is time to move on and to also start contributing to many other Open Source projects out there. 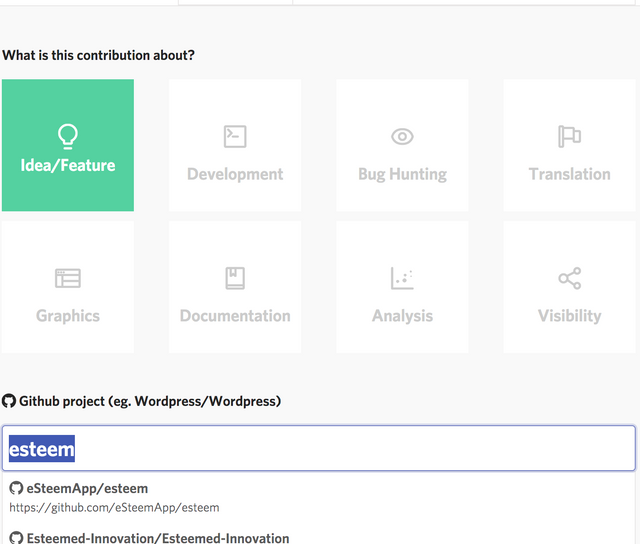 Below a list of the Open Source projects around the Steem ecosystem that you should look into and start contributing to right away. Go to https://utopian.io/write. Choose the category you want to use for your contribution. Read and accept the rules. In the Github repository field write esteem. Press enter. Click on the first result. Write the details of your contribution. Wait for an Utopian moderator to review. Get rewarded for your contribution to Esteem. Go to https://utopian.io/write. Choose the category you want to use for your contribution. Read and accept the rules. In the Github repository field write Chainbb. Press enter. Click on the first result. Write the details of your contribution. Wait for an Utopian moderator to review. Get rewarded for your contribution to Chainbb. Steemiz is an alternative REACT interface for the STEEM blockchain. Go to https://utopian.io/write. Choose the category you want to use for your contribution. Read and accept the rules. In the Github repository field write Steemiz. Press enter. Click on the first result. Write the details of your contribution. Wait for an Utopian moderator to review. Get rewarded for your contribution to Steemiz. Go to https://utopian.io/write. Choose the category you want to use for your contribution. Read and accept the rules. In the Github repository field write SteemPlus. Press enter. Click on the first result. Write the details of your contribution. Wait for an Utopian moderator to review. Get rewarded for your contribution to SteemPlus. A quick web page that shows data and info on popular Steem upvote bots. Go to https://utopian.io/write. Choose the category you want to use for your contribution. Read and accept the rules. In the Github repository field write MattyIce/bottracker. Press enter. Click on the first result. Write the details of your contribution. Wait for an Utopian moderator to review. Get rewarded for your contribution to Steem Bot Tracker. STEEM Bot Framework is a Ruby on Rails application that allows for multiple users, admins, bots, and customized permissions. Users can make multiple bot accounts perform actions simultaneously. Go to https://utopian.io/write. Choose the category you want to use for your contribution. Read and accept the rules. In the Github repository field write netuoso/steem-bot-framework. Press enter. Click on the first result. Write the details of your contribution. Wait for an Utopian moderator to review. Get rewarded for your contribution to Steem Bot Framework. Go to https://utopian.io/write. Choose the category you want to use for your contribution. Read and accept the rules. In the Github repository field write steepshot-web. Press enter. Click on the first result. Write the details of your contribution. Wait for an Utopian moderator to review. Get rewarded for your contribution to Steepshot Web. Go to https://utopian.io/write. Choose the category you want to use for your contribution. Read and accept the rules. In the Github repository field write steemswitch. Press enter. Click on the first result. Write the details of your contribution. Wait for an Utopian moderator to review. Get rewarded for your contribution to SteemSwitch. SteemConnect2: Token Based Authentication Made Easy. Used also by Utopian.io for logging in. Go to https://utopian.io/write. Choose the category you want to use for your contribution. Read and accept the rules. In the Github repository field write steemit/steemconnect. Press enter. Click on the first result. Write the details of your contribution. Wait for an Utopian moderator to review. Get rewarded for your contribution to SteemConnect. ....and many other Open Source projects inside and outside the Steem ecosystem like Busy.org, Steemit, Utopian, WordPress, Google Chrome, Drupal, Linux, Android and hundreds of thousands more. If you have not noticed yet on Utopian.io you can CrowdSource your Open Source project by adding announcements. Read the Intro Post and some of these projects are already receiving spontaneous contributions from the community. Are you going to the STEEMFEST? Thank you @elear as I now have a platform to contribute to the esteem project which I have been using for a long time. If you're a developer you can add links to your utopian reports in your pull requessts. Especially for projects that are not related to steem this makes sense. It would draw attention to utopian and steem. I will definitely do that the next time I contribute to such a project. I can't wait to dive deeper into this! Thanks for creating a list - I know that there are lots of projects that are opensource. I'm currently looking outside of the Steemit world as well. I've been encouraging people within my community to check utopian out too. Thank you so much @deveerei ! Let's get Rails, NodeJS, and the big players on Utopian too. Retweet my tweet if you have a twitter. Awesome Post, Keep it up! Gotta go all out with this.. thanks for such good post @elear. I will try to contribute each of the open source project on the list. With the abundance of information, which increased my enthusiasm for action!!! How can I start from the simplest business ??? You said Utopian isn't only about Steem yet you listed lots of Steem projects to contribute to. I support the cause and stuff but it was a bit strange. For non-Steemian success, you may want to promote Utopian in not directly Steem related communities. Like IPFS which is important for us via DTube anyway. I wrote Steemit not Steem @katamori :) Utopian needs a bit more time to go in the outside world. Not yet easy to understand for non steemians. So I am doing this on purpose. Soon there will be changes to make it very easy for those who do not know anything about Steem. Just it needs more time, if you get my point. In the meantime we can help other open source projects of the steem ecosystem that are in the dark and get few or none contributions. Yeah sorry then, I intentionally use the word Steem when it comes to the ecosystem, rather than the exact site. Thanks for enlightening anyway, I can understand it this way. Thank you so much @stellabelle ! This post has been resteemed by @minnowsupport courtesy of @netuoso from the Minnow Support Project ( @minnowsupport ). Join us in Discord. @elear you must have an Alien Clone to be able to get so much done! :) Thanks for all that you do! 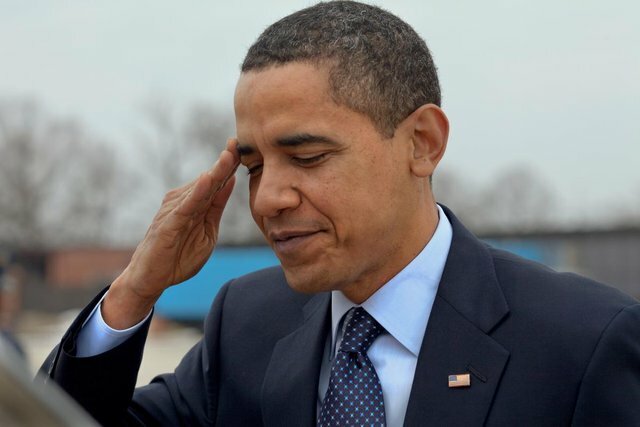 Upvoted. resteem this post and follow, upvote me to reach more people to this post. This post is helpful for new steemit member. Thanks. Love the platform and the concept... Look forward to contributing more... Love to see the growth of the steem eco-system and this will definitely contribute to that..